« Les arbres sont le foyer magique de beaucoup d’animaux, d’insectes et de toutes sortes de créatures. Ils produisent de l’oxygène, qui est la base de notre vie. Sans eux, nous ne pouvons pas survivre. Que serait ce monde sans arbres ? Il serait nu, sans vie. Quelle que soit la saison – printemps, été, automne ou hiver – nous pouvons toujours compter sur les arbres pour exprimer quelque chose de spécial, de beau. Singapore, 18 April 2007 – In support of the ‘ Billion Tree Campaign’ , Eco 4 the World, with the on-going support of HSH Prince Albert II of Monaco and Art and Environment Association, acted as the global coordinator of a three-city art exhibition and global fundraising drive featuring The “Burned Trees” by renowned artist and environmentalist, Philippe Pastor. 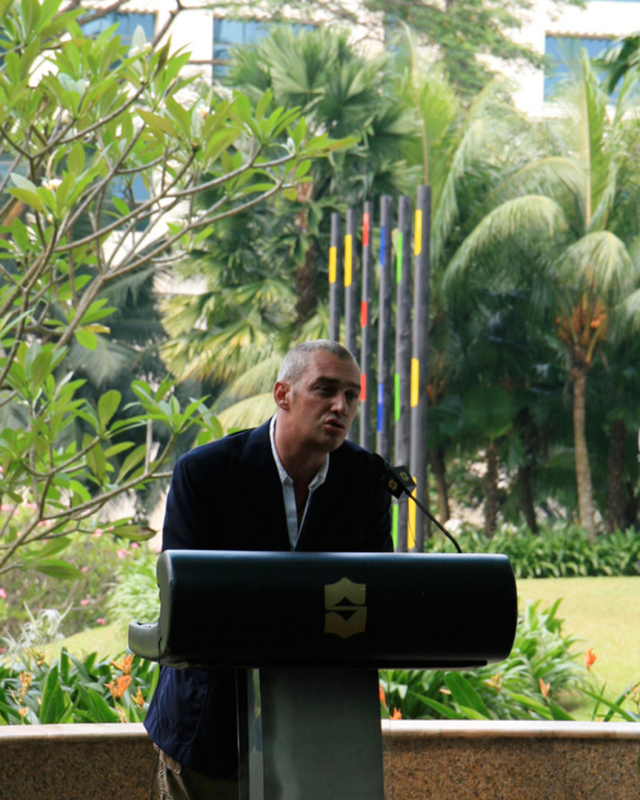 On 18 April 2007, Eco 4 the World launched the “Burned Trees” art exhibition and benefit at the Shangri-La Hotel in Singapore. The benefit featured Pastor’s “Burned Trees” art exhibition; a collection of painted sculptures –made from the calcified, burned tree trunks of a French forest devastated by fire and neglect. 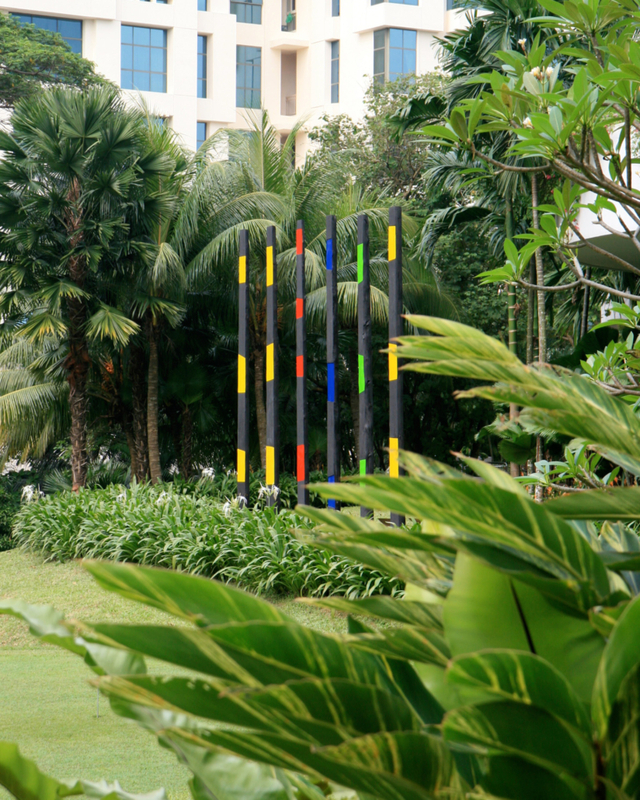 Thirty three of Pastor’s sculptures – which symbolize the destruction and resurrection inherent in nature – were on permanent display at the National Institute of Education (NIE) on 18 April 2007 and five were featured at the exhibition launched at the Shangri-la Hotel in Singapore. In addition, Pastor also dedicated three sculptures to Minister Mentor Lee Kuan Yew for his ongoing conservation efforts in Singapore, which will be placed at the Lee Kuan Yew School of Public Policy. The second-city art exhibit benefit will coincide with the Cannes Film Festival in Monaco on 22 May 2007. Hosted by Art and Environment Association, Monaco in partnership with Eco 4 the World Foundation, the exhibit will be located on the beachfront of the legendary Majestic Hotel. The third-city exhibit will be hosted later on this year in New York City. The exhibitions will begin a year–long fund raising drive by the Eco 4 the World Foundation. Proceeds will be presented to the South West Community Development Council (SWCDC) to support their goal to plant 100,000 native plants and to Dr Jannie Tay’s ‘Save the Planet Institute’ for tree-planting efforts in China and India. Philippe Pastor’s contemporary art is expressed in a variety of forms and mediums, and to date he has exhibited in Africa, Europe and the U.S. 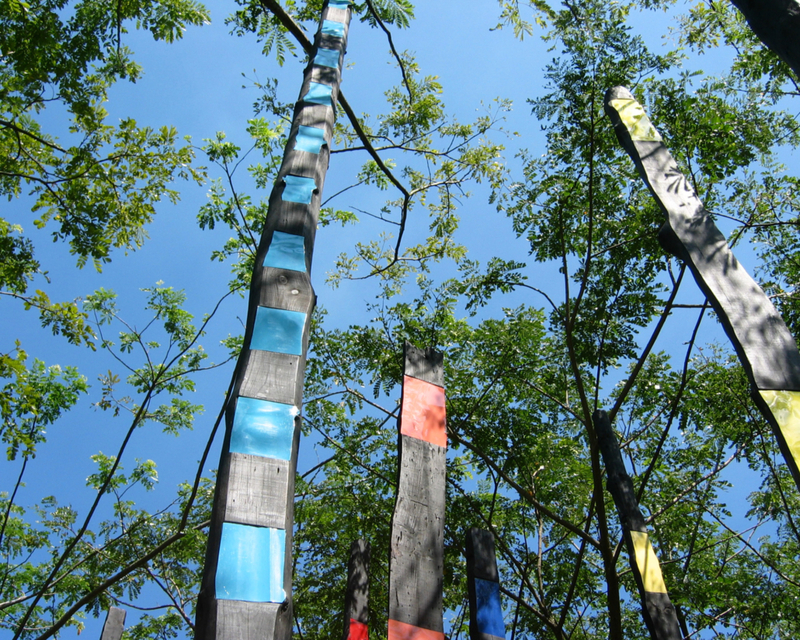 In 2006, he dedicated 40 “Burned Tree” sculptures to UNEP that are now on permanent display at the UNEP Headquarters in Nairobi, Kenya. Singapore marks the first time that Pastor has exhibited his work in Asia Pacific to benefit the environment. In Pastor’s native Monaco, his philanthropic side is represented by his dedication to Arts and Environment Associations such as his on-going partnership with the Monaco Modern Art Gallery in his effort to promote global environmental awareness and conservation measures through artistic endeavors. « Nous devons tant à la nature. Il y a une abondance de beauté et de générosité de la nature à Singapour, et cela est dû aux efforts inlassables de Lee Kuan Yew pour l’environnement naturel de Singapour. Je dédie cette sculpture en admiration devant son émerveillement pour la nature « .